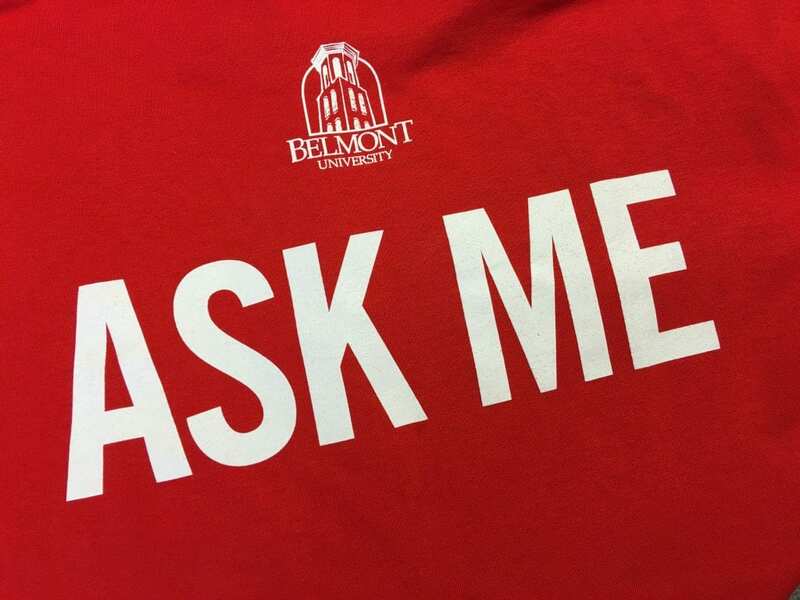 Here at Belmont University where I direct a leadership program, it’s move-in day for all the freshman class. By the end of the day about 1800 new students will inhabit the campus. That’s 1800 new stories to be written, 1800 new minds to teach, 1800 cars to unload. They have a system here on move-in day at Belmont where upperclassmen greet families as they pull into the driveway in front of the various dorms. Literally within seconds, the car is unloaded and all the stuff is hauled up to the appropriate living space by countless volunteers. It really is quite remarkable… maybe a little mind-boggling to the parents who are already worried about separation anxiety who watch the task of unloading unfold before their eyes. It’s been almost 4 decades since I moved onto campus as a college freshman. I still remember the moment and admittedly, I’m a little jealous of those who are just starting this experience. I’m jealous of the opportunities they have, the future that is theirs to grasp, the experiences about to unfold. I’m jealous of the new friendships they will forge for life and for the ways in which their world-view, faith, and intellect are about to explode. For most, college is an exhilarating experience and my hopeful prayer is that these students will be safely sheltered, carefully taught, and wonderfully challenged. I met a family on campus yesterday who were getting their bearings so that the chaordic (chaos & order) process of moving in wouldn’t catch them off guard. They flew in from California to help their only child, a daughter, get settled. She looked excited, anxious, fearful, and a bit overwhelmed. That’s got to be hard. It’s a long way from home and family. I gave her my business card and told her, “If you begin to feel a little overwhelmed or you miss home a little too much, come find me. I will make sure you get connected and find some folks to meet.” It can be a big, lonely world and sometimes having people to join you in the journey will help. The feeling of being overwhelmed by life doesn’t apply just to college students. Let’s be honest… it’s a big, mean, lonely world. Maybe the key for our survival is learning how to invent community around our lives. It doesn’t just happen. It is a very intentional process. We forge friendships. We create dialogue. We initiate conversations. There is a risk and reward. But at the end of the day, it’s the sense of community that holds the key to our survival. You may find it at your work, or in your neighborhood, or at your church, or at the gym. We were not made to be lone-rangers. We were created for community. So if you see a lost student this week, point them in the right direction. If you see a lost soul, offer them a moment. And if you find yourself struggling with this big world, seek out community where you can connect. It’s how we survive.